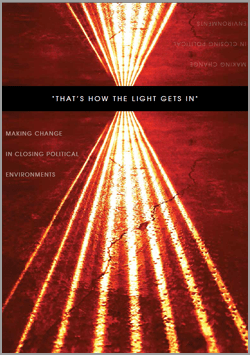 This post is an excerpt from the introduction to “That’s How the Light Gets In”: Making Change in Closing Political Environments – a collection of essays that examine evidence of how to pursue fiscal accountability in a tougher political environment. 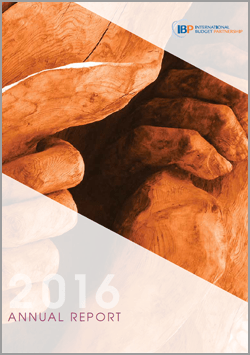 The collection is a companion to IBP’s 2016 Annual Report. Read more essays from the collection on the Open Budgets Blog here. 2016 was a tumultuous period in much of the world. An increasing number of countries in the global north and south experienced dramatic shifts toward more reactionary and intolerant politics. In other countries these shifts were reinforced. This encroachment on civic space has been documented in over 100 countries, with journalists, activists, and citizens harassed or jailed for voicing opposition to those in power. Although signs of regression in democratic practices have been widespread for several years, its consolidation has come in a shocking manner. Almost overnight our trusted champions of open government in Brazil, India, the Philippines, South Africa, and now the United States were replaced by regimes threatening to reverse years of progress in open data, vigorous citizen participation, and the promise of enhanced government accountability. Democracy is under threat the world over. Of course, we should always expect progress to be uneven, and we had a long way to go even before this prospect of a downward spiral. Over the past 20 years, IBP has worked with hundreds of independent organizations the world over to pioneer models of open budgeting, where citizens and civic organizations play an informed and meaningful role in monitoring and influencing the public budget. Our ultimate goal is to ensure that governments make and keep commitments to maximize the contribution of public resources to transforming the lives of poor and marginalized communities. Too often, though, we have secured dramatic increases in public data and built strong organizations but have failed to transform these resources into greater accountability. The current context makes this task even harder: How do we advance fiscal accountability in an era of closing government? The first point to make is that how we raise and spend public money will become even more important in this new political environment. Inequality is a root cause of the current rightward shift in governance, and the budget is a government’s most powerful opportunity to drive public resources toward those who need them most. But the budget process is also at the core of democratic practice — and the relationship between citizens and the government. While this process can and often does exclude citizens, it can also be a powerful bridge to help citizens move from disaffection to democratic engagement. As growing evidence shows, broad public dialogue and debate over budget priorities can lead to better decision making, more widespread support for those decisions, and lower corruption and waste in public spending. Fiscal and governance crises over the past decades have not slowed the trend toward open budgeting. In fact they have enabled some of the greatest leaps in budget transparency and participation. Our task is now more important than ever. 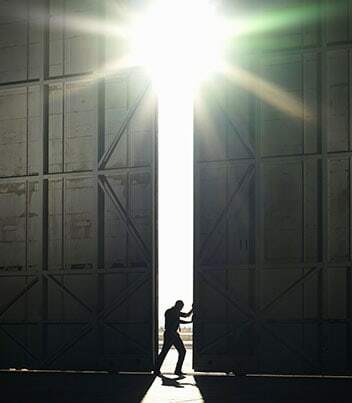 In these darkening days, we nonetheless see powerful instances of ingenuity and openings at both international and country levels. From the grassroots to global boardrooms — and in the interplay of the two — there is evidence of even stronger fiscal accountability work emerging. We aim to document some of these trends in this report. In the campaign for open budgets and greater government accountability, there are many fronts. Sometimes popular mobilization presents the strongest strategic option. At other times, it might be to strengthen the powers of supreme audit institutions. The eight essays IBP collected to accompany its 2016 Annual report not only document potential individual points of engagement but also show the multidimensional nature of budget work and democratic engagement. This complexity is a strength in these difficult times and presents opportunities for IBP, our in-country partners, and the many international organizations with which we are aligned. So, where do we see light? Our reflections point to three areas of work where we see hopeful possibilities for movement toward greater fiscal accountability: refined political strategy, new spaces for impactful work, and new opportunities for powerful alliances. This holds even — or especially — in the environment we find ourselves facing. If our efforts have taught us anything, it is that there is no short cut to changing the relationship between citizens and their governments. Since our vision is a world in which the allocation and spending of public resources contribute to a more just and equitable society, we must more deeply understand and creatively respond to the political economy of public resource decision making and implementation. The root causes of poverty include powerful interests that have built social, political, and economic structures that concentrate wealth and privilege and exclude the poor and other marginalized groups. In addition to paying careful attention to political obstacles and unexpected opportunities in the local context, further opening up budget processes in meaningful ways requires developing alliances and partnerships that build countervailing power, so that public resources are spent to address poverty and inequality. At least three new spaces are emerging as opportunities for impactful work on fiscal accountability. The first is work on tax. The role of taxes in perpetuating inequality and impunity, and specifically the prevalence of tax havens, illicit flows, and aggressive tax avoidance, have exploded onto the front pages of newspapers across the globe. At the same time, the Sustainable Development Goals have led donors to pressure countries to replace aid flows with domestic revenues. This is a huge opportunity — although it will face organized resistance — for organizations working on national budgets to complement their expenditure work with a greater focus on tax policy and incidence, and the enforcement of tax regimes. A second area of work with great potential for impact is climate change finance. Estimates of the funds that must be mobilized globally for an adequate response to climate change amount to hundreds of billions of dollars per year. If such mobilization is even partly successful, this will be an enormous opportunity for the foreseeable future to direct international and domestic funds to poor and vulnerable communities. The emerging opportunity is for expanded civil society engagement at the country level where IBP partners are strongest, and most able to work with environmental organizations, to ensure that sufficient funds are dedicated to and reach the most vulnerable communities. The third new space for traction is work at subnational levels of government, with a focus on service delivery. Three of the essays focus in-depth on struggles for budget and service delivery accountability in India, Kenya, and South Africa. These campaigns are relatively recent and have far to go to secure significant systemic change, but they speak to the powerful connections and real gains that are possible at state and local levels, even while the national level of government might become more inaccessible. We are encouraged by the emerging alliances between civil society budget groups and three other stakeholders in public budgeting. One of the consistent critiques of budget work has been the danger of elite capture, as skilled analytical groups connect more strongly with technocrats in the department of finance than with the real demands of poor citizens. This is not inevitable. In India sophisticated mass-based protests, bolstered by sharp analysis by independent budget experts, protected the National Rural Employment Guarantee Scheme. In Kenya IBP helped mobilize the disability community to secure greater funding and then fight to have a say in how those resources are used. What we find most significant about these stories is the informed participation by large numbers of community actors who understand the budget and budget processes. These are coalitions that can force even the most recalcitrant government to take notice. A second opportunity for powerful, expanded alliances is between civil society organizations, including budget groups, and supreme audit institutions (SAIs). IBP has long supported CSOs seeking opportunities to complement or enhance the work of government auditors. The social audit work in India and beyond has received the most attention, but implicit collaboration between community groups and SAIs has taken many other forms, from fraud hotlines and community involvement in audit site selection, to the publication of popular versions of audit by communities and SAIs. Usually this work has been driven by CSOs. What is new is the much greater openness and initiative emerging from the SAIs themselves. As audit reports gather dust on government shelves, more and more activist auditors are turning to partnerships with civil society to overcome their own constraints in encouraging government responsiveness. Finally, the courts are a third institution likely to become an even greater asset to civil society budget work in an era of closed government. Over the past decade, budget groups have often found that it is effective to operate as a “critical ally” of government, navigating independence and partnership with champions in government. Where opportunities for partnerships wane, civil society budget groups have been turning, as a last resort, to litigation to secure or protect gains. There is now a much greater body of knowledge and expertise within the budget and broader fiscal community on litigation. We anticipate that this will become an even stronger resource going forward. We fully recognize the uncertainty of the path before us. But the optimistic lights that shine out from the essays, the progress that has already been made globally on fiscal openness, and the foundation of a powerful cross-country civil society community — buttressed by supporters within international institutions, governments, and the donor world — persuade us that a path toward progress will resume.